Board-certified pediatrician Bertha Tsai-Tulagan, DO brings her natural calm and caring demeanor to each office visit, so young patients feel comfortable. Dr. Tsai-Tulagan focuses on providing comprehensive preventive care to children of all ages at Grossmont Pediatrics in La Mesa, California. 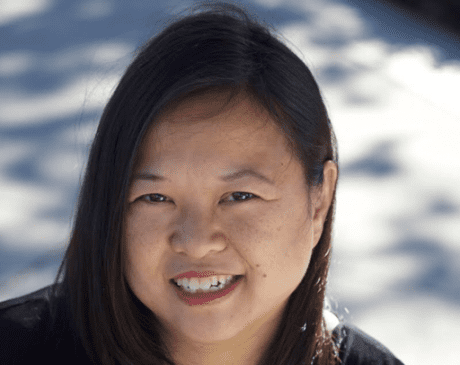 After earning her undergraduate degree in biological sciences from the University of Chicago, Dr. Tsai-Tulagan headed west for graduate school. She finished her doctor of osteopathic medicine degree from Midwestern University’s Arizona College of Osteopathic Medicine in Glendale. Dr. Tsai-Tulagan then completed her pediatric residency at the University of Nevada School of Medicine in Las Vegas. To further her expertise, Dr. Tsai-Tulagan went through comprehensive testing to become board certified through the American Board of Pediatrics. She even completed a mini fellowship in primary pediatric psychopharmacology and went through advanced training in pediatric advanced life support. Dr. Tsai-Tulagan holds professional memberships with the American Academy of Pediatrics and the San Diego County Medical Society. Because she’s fluent in English and Taiwanese, and has a working proficiency of medical Spanish, American Sign Language, and Mandarin Chinese, Dr. Tsai-Tulagan can care for patients who may struggle with language barriers. As a mother herself, Dr. Tsai-Tulagan enjoys watching her patients grow and thrive. She treats her patients how she would want her own children to be treated. Dr. Tsai-Tulagan is currently accepting new patients and welcomes new and existing families to the practice. We accept most major and regional PPO & HMO plans and also accept Medi-Cal, Indemnity Plans, Automobile Coverage, Travel Plans, Self-Pay, and Payment Plans. Please call to inquire further.